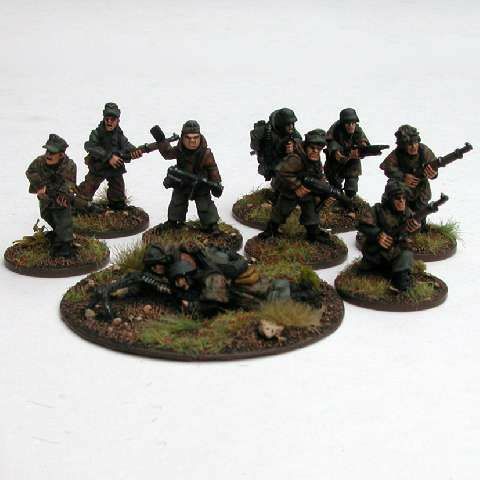 This pack represents a Waffen SS squad as presented in the RoE rulebook. The pack consists of 2 lmg teams (4 men), 2 NCO's armed with smg's, and 4 riflemen. Miniatures may vary from those shown.